Russia’s move to sign a free-trade pact with Iran coincided with the US exit from the 2015 nuclear deal with the Islamic nation. TEHRAN — The Kremlin said Friday that Russia and its ex-Soviet allies will sign a free-trade pact with Iran, the latest fallout from the US withdrawal from the Iran nuclear deal. 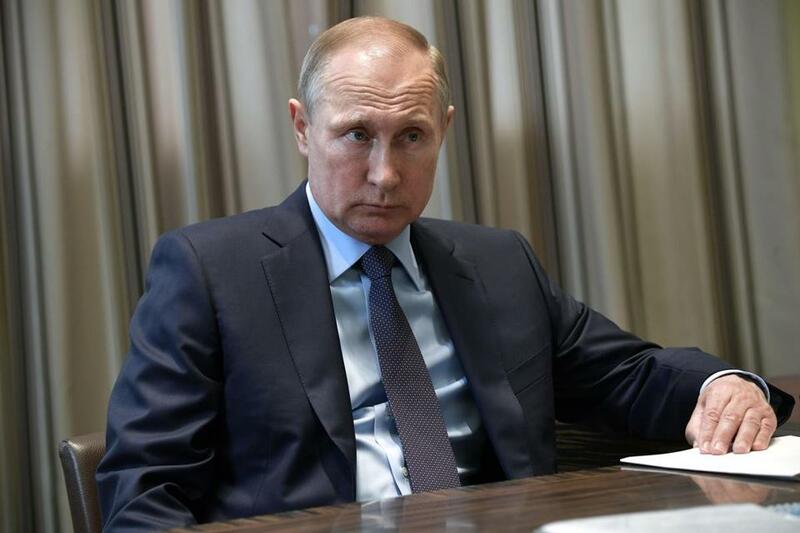 President Vladimir Putin’s foreign affairs adviser, Yuri Ushakov, said, the deal among Iran, Russia, and other members of the Moscow-dominated Eurasian Economic Union is to be signed next week. The group includes Kazakhstan, Belarus, Armenia, and Kyrgyzstan. While Ushakov noted that the trade agreement had been under discussion for long time, the move coincided with the US exit from the 2015 nuclear deal with Iran that has set the stage for reimposing economic sanctions against Iran and rattled many US allies. Ushakov said Putin will discuss Washington’s withdrawal from the Iranian deal with German Chancellor Angela Merkel and French President Emmanuel Macron, who are set to visit Russia later this month. Merkel is to make a trip to Russia next Friday, and Macron is set to meet Putin during a business forum in St. Petersburg the next week. European Union foreign policy chief Federica Mogherini said Friday that the EU is determined to make sure the Iran nuclear agreement is preserved, despite President Trump’s decision to pull out. Mogherini said she has been reassured about Iran’s intentions by the declarations of President Hassan Rouhani. Mogherini will lead talks between the British, French, German, and Iranian foreign ministers in Brussels on Tuesday.